Loop Loc Safety cover photos. 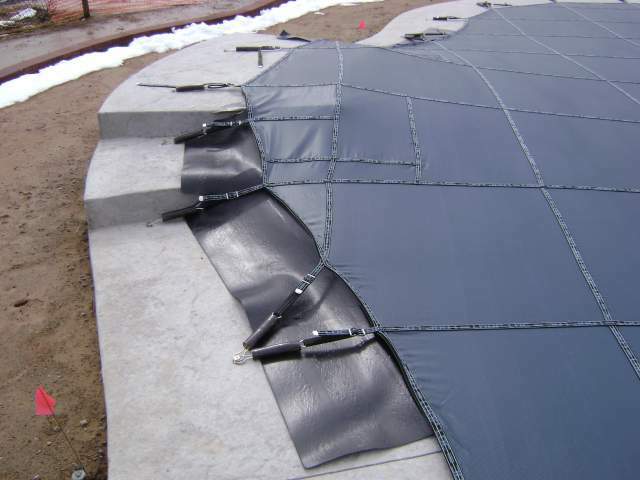 Loop-Loc Safety Pool Cover Photos. 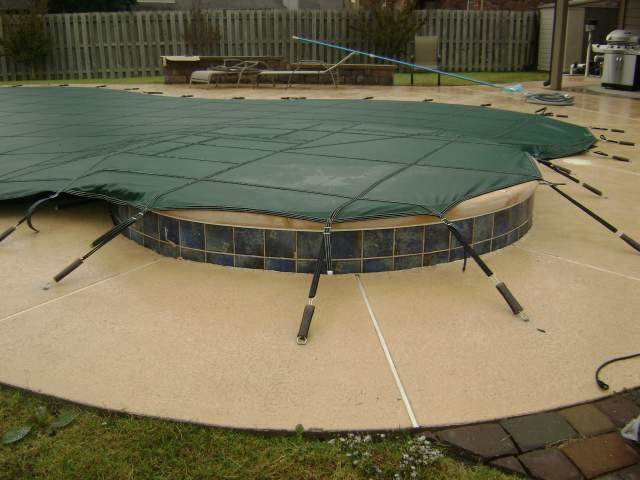 Following are just a few of the Loop-Loc safety pool covers installed by Metro Pool Service over the past few years. 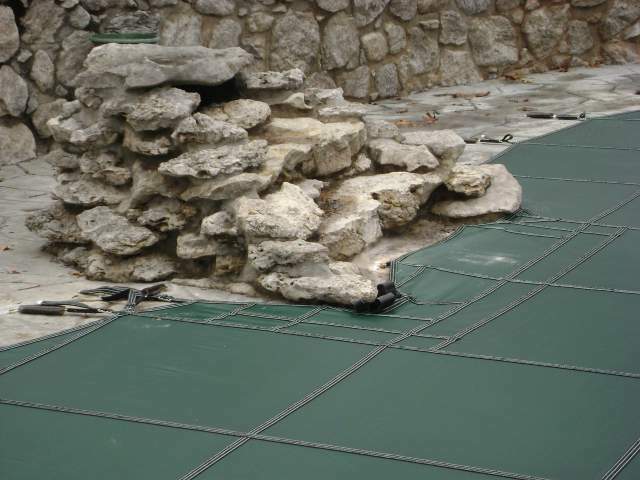 The photo above shows the Up and Over treatment for a diving board on a raised wall. The cover is Loop-Loc mesh green. Up and Over treatment for steps. The cover is Loop-Loc mesh blue. 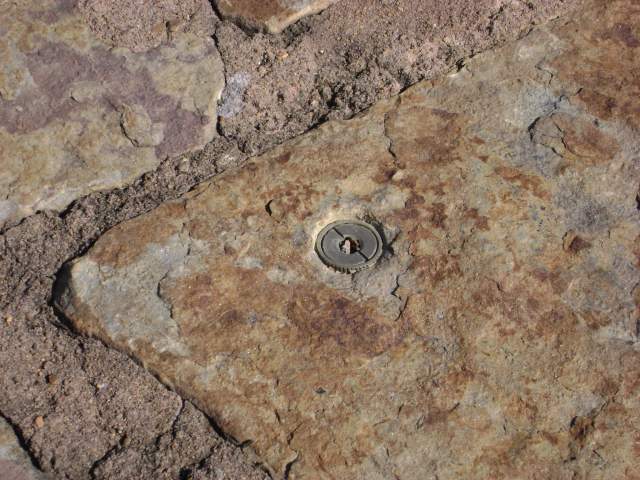 The 2 images above show the Safe Edge treatment of a rock fountain. 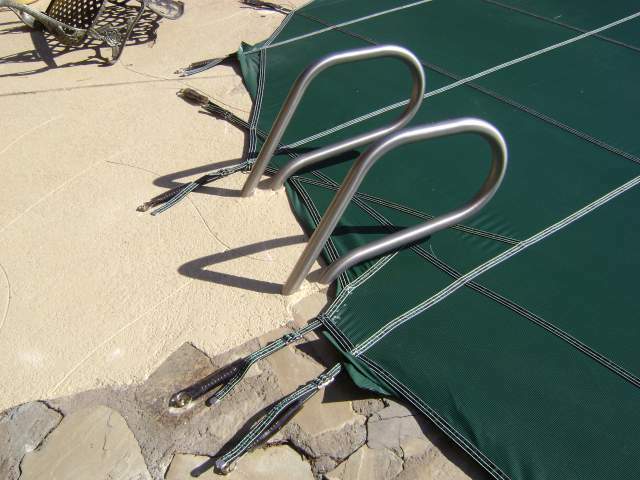 Raised spa Secure-A-Gap treatment (photo above). 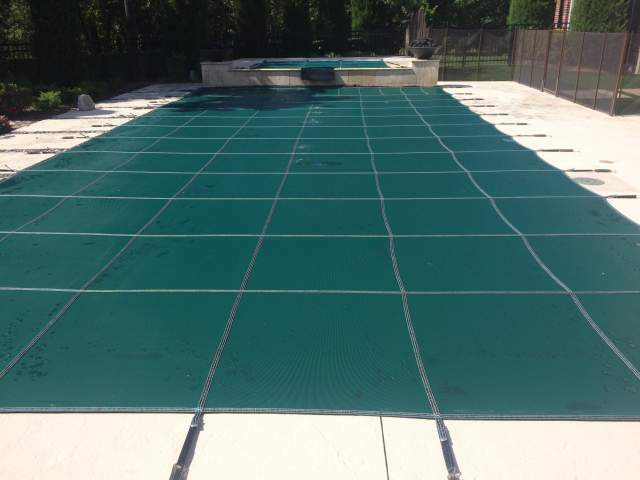 The cover is Loop-Loc mesh green. Handrail treatment with a little bit of undercover padding visible. 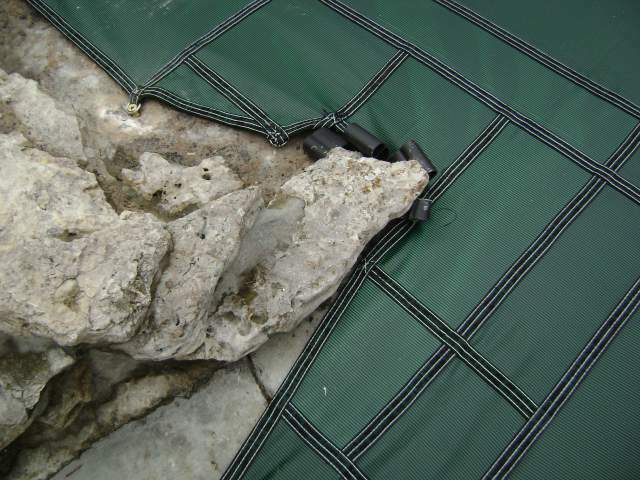 Undercover padding was used because of the rough stone coping edge. You can see how the padding material attaches to the straps (photo above). 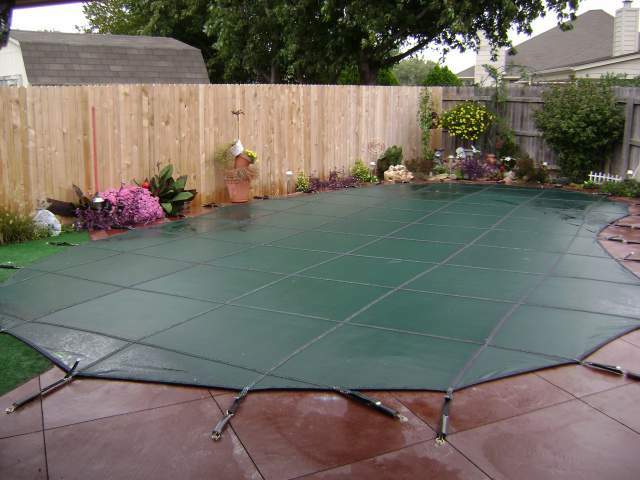 The cover is Loop-Loc mesh green. Raised wall treatment using stainless steel cable. 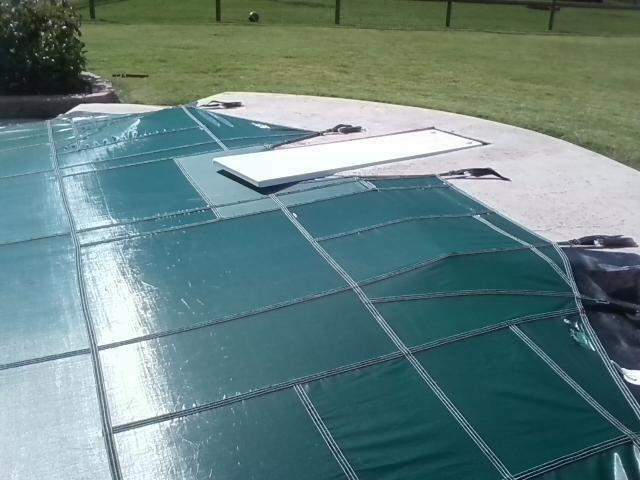 We had to put a boat into the pool to drill this one! The mesh green cover above also has Raised Wall treatment on the far end. Above is the Safe Edge treatment around an obstruction. 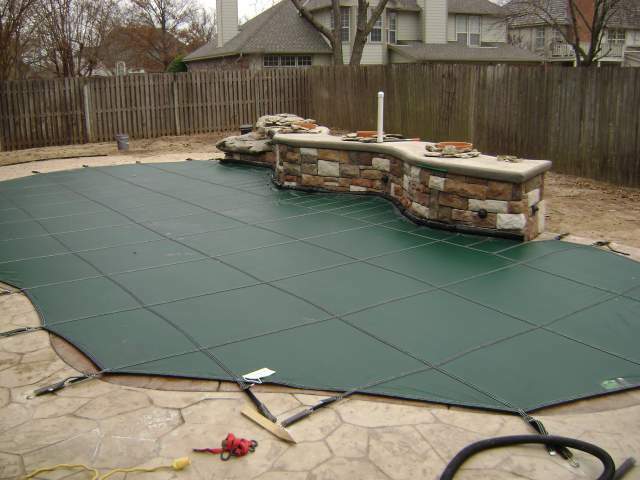 The cover is Loop-Loc mesh green. The anchors blend into the deck after some weathering. Will swimmers stub their toes on the anchors when they are not in use? 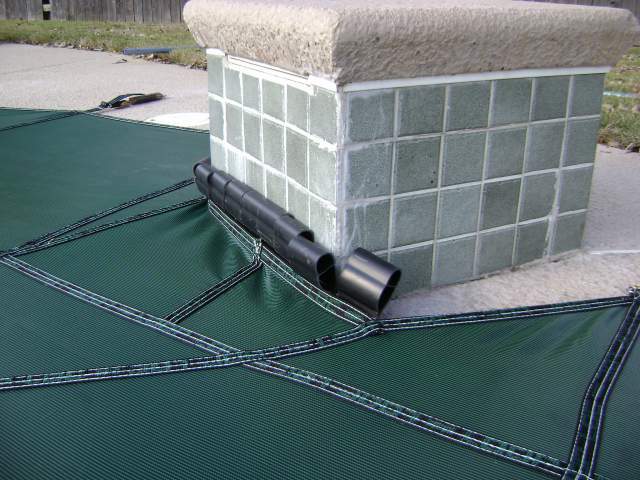 Another beautiful Loop Loc cover in green mesh. 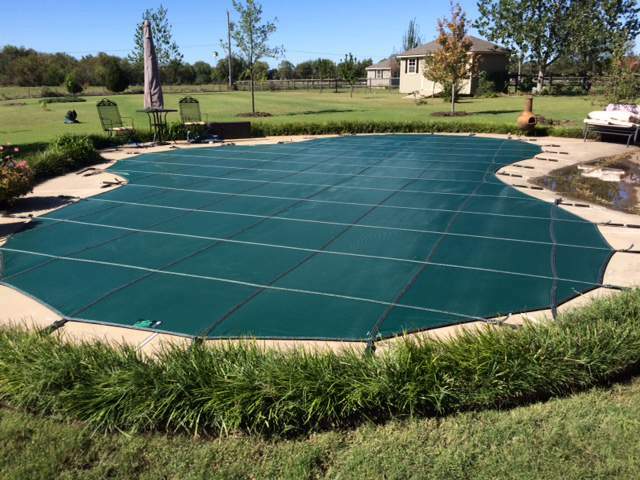 Green mesh is the most popular cover choice for our customers as you can see in the 2 photos above and most of the other photos on this page. 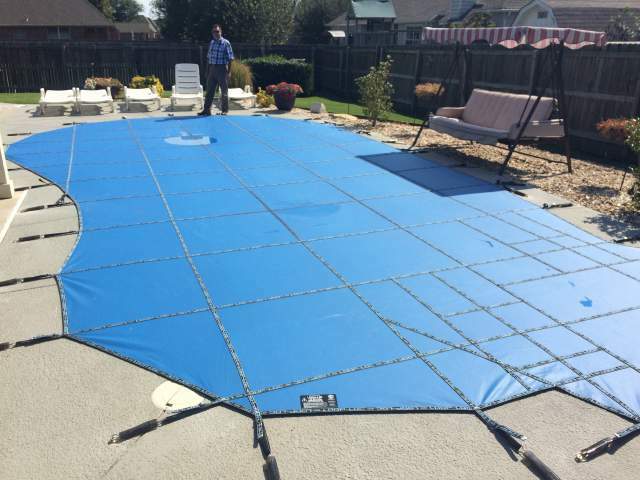 This is an Ultra-Loc II solid cover in blue which lets no rain through but has to be pumped off. There is an extra charge for colors other than green. Following Are Some Loop-Loc Installation Day Photos. We have a boat for drilling into hard to reach places. 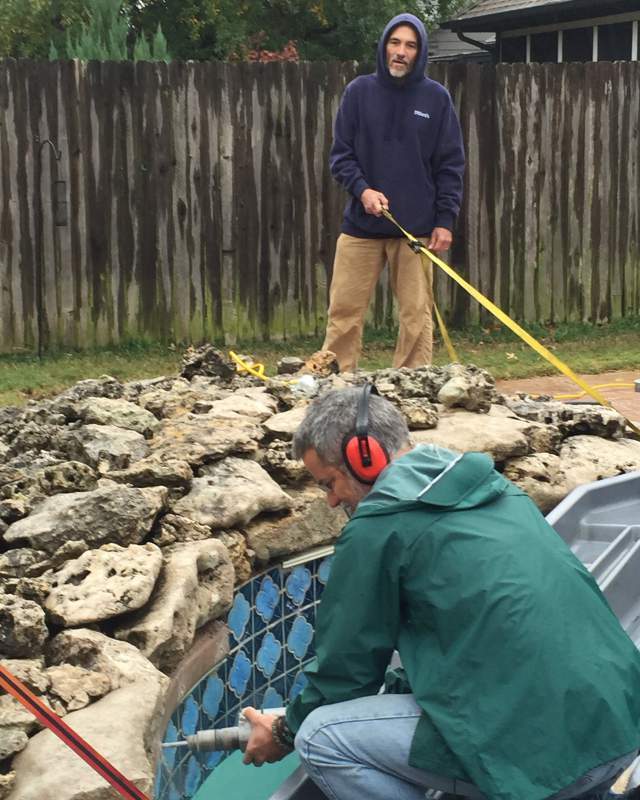 Here we are installing the raised wall treatment which involves a stainless steel cable. 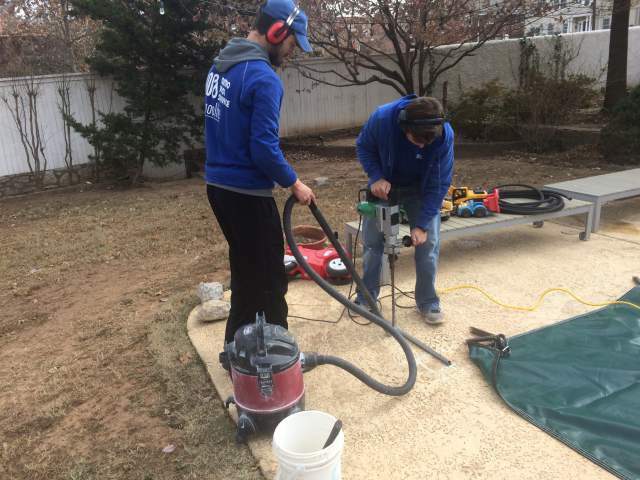 With a big drill and the right bit, the hole drilling is no problem. 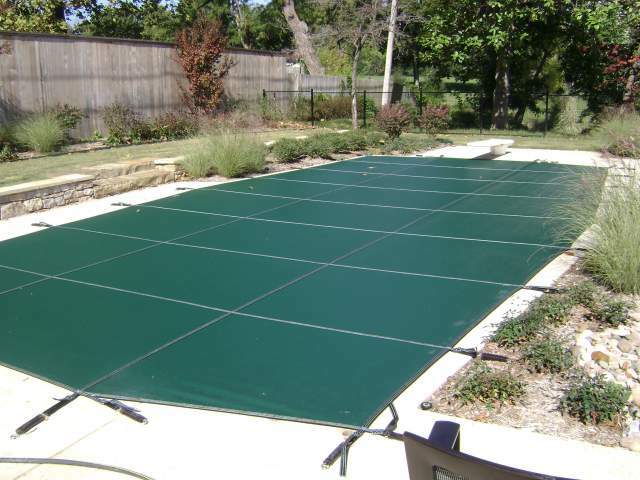 Click here to return to the Loop Loc Safety Cover Page for Metro Pool Service.